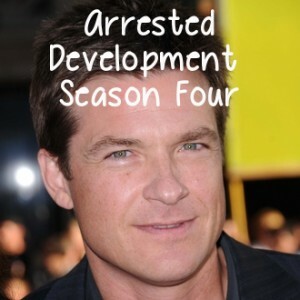 It’s almost time to start my hour by hour countdown to season four of Arrested Development season four. As someone who didn’t get to watch the shows when they originally aired, I’ve watched this entire series on Netflix. For weeks building up to Sunday’s release of season four I’ve basically had a Google alert for any news about the Bluth family. TV Line sat down with the cast and talked about coming back to their family unit seven years after Ron Howard told Maeby that a movie was a strong possibility. Jessica Walters, Lucille Bluth, said that getting back into her character’s booze haze was “like riding a bike.” She was able to slip back into character easily. Being back on the living room set with everything in it’s original place must have been spooky, but Walters said the cast really melted together in that space. While Michael Bluth was once the glue that held the family together, Jason Bateman suggested that his character may not be as solid as he once was. He’s trying to keep things together and reconnect with his son, who is away at college. He’s trying to keep the family afloat while dealing with his own baggage. As for our boy George Micheal, he’s still obsessing over his cousin Maeby. Michael Cera said that his now 24-year-old character is having more of the same troubles keeping his relationship with his cousin platonic. Alia Shawkat, Maeby Fünke, said her character is falling back into her job as a movie studio executive. The cast sounds really jazzed about Mitch Hurwitz’s creation in season four. Portia De Rossi and David Cross (Lindsay Bluth Fünke and Tobias Fünke) said that it was satisfying as an actor and as fans of the show. Also, we’ll get to see two people blue themselves this time around. Season four is split into episodes focusing on one character each. We get to see them not only interact as a family, but more so as individuals. The episodes follow the same frame of time, so we’ll see the same events through fresh eyes and different perspectives. Arrested Development season four airs May 26 on Netflix.